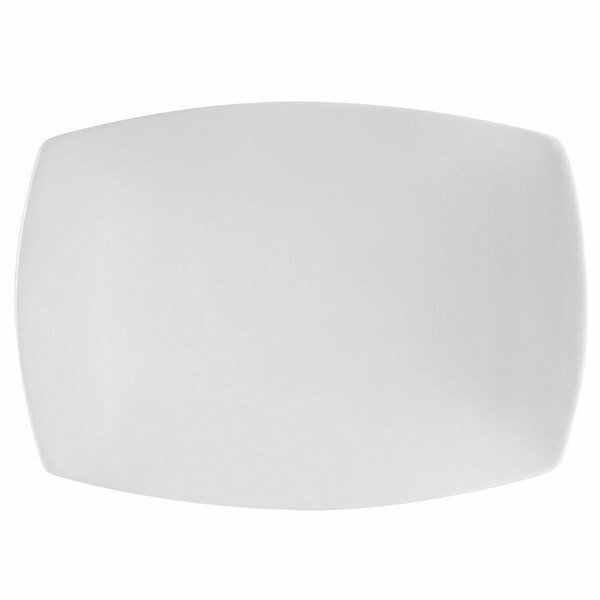 14 1/2" x 9 3/4"
10 1/2" x 7 3/8"
13 1/4" x 9 1/2"
This CAC COP-RT51 Coupe 14 1/2" x 9 3/4" porcelain rectangular platter's smooth, rounded corners are accentuated by edges which bow slightly outward to create a unique and lustrous means of serving your impeccable entrees! Brighten your tabletop with its bright white color that suits almost any decor. Its clean, classic styling will draw your patrons' eyes towards your perfectly presented dinner arranged in the center of the platter. Ideal for restaurants, hotels, and banquet halls, this platter can help to complete any tabletop display. Made of durable porcelain, this platter is sure to last through years of heavy use. With an attractive coupe design that adds a degree of sophistication, this platter will impress guests and put you a step above your competition.